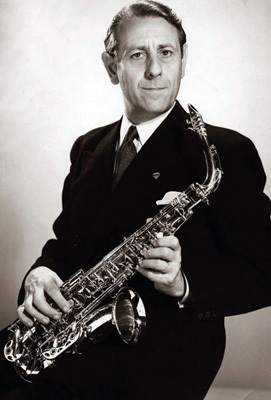 “When Claude Delvincourt entrusted in 1942 to Marcel Mule the re-creation of the saxophone class (after that of Adolphe Sax at the military annex of the Conservatoire, from 1857 to 1870), the latter was forty-one; he was in full artistic maturity, popular in entertainment music as well as in classical music thanks to the radio. He pursued most of his career within the saxophone quartet he created in 1928 at the Musique de la Garde Républicaine, were he was soloist from 1923 to 1936. He provided an unprecedented development to a formation (inaugurated in 1857 with a first composition by Singelée) which remains significant, from Pierné to Xenakis, and for which he multiplied transcriptions for pedagogical purposes.